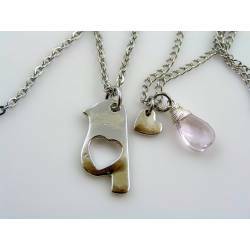 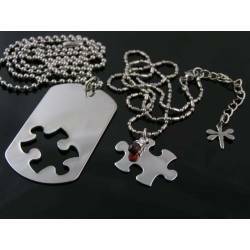 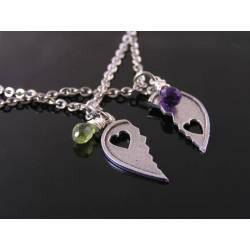 This is one of the smaller combinations of matching couple necklaces I have on offer. 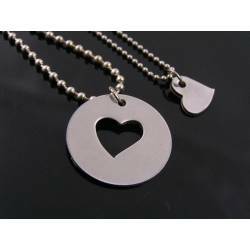 The disc pendant measures 2.5cm in diameter, the little heart pendant measures just 10mm across at the widest point. The heart fits exactly into the stamped out section of the disc pendant, how romantique is that? 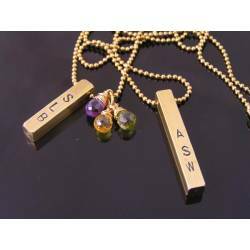 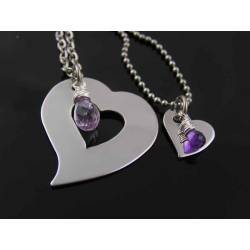 Both pendants can be personalised with one or two initials (A&B). 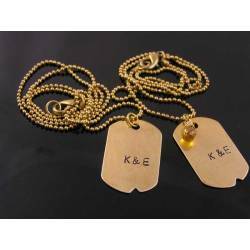 Leave your choice of initials in the text field of the bottom of this page, then save and add item to cart. 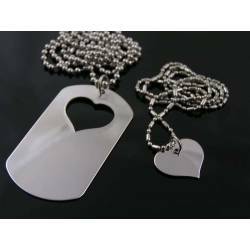 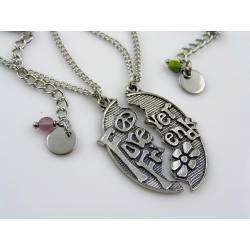 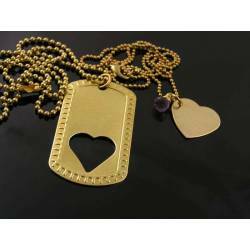 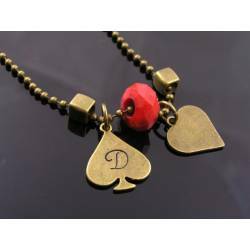 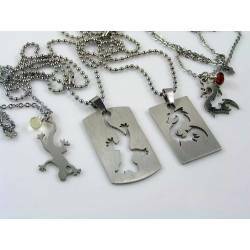 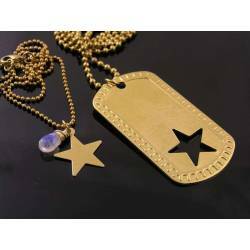 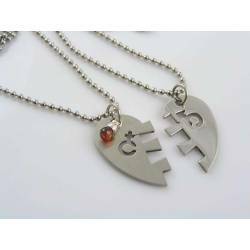 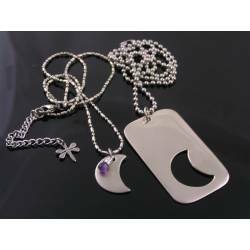 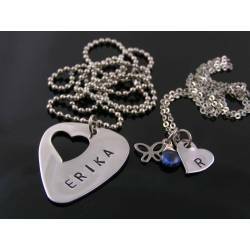 If you don't leave initials, the pendants will come blank as seen in the photos. 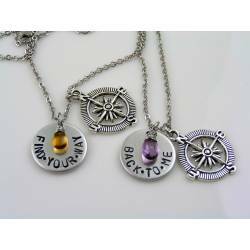 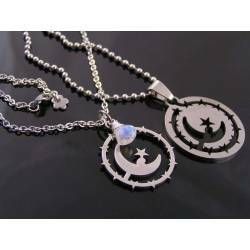 These pendants can only be stamped on the front. 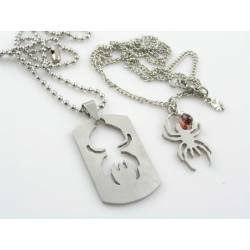 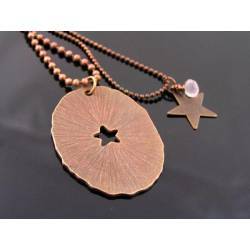 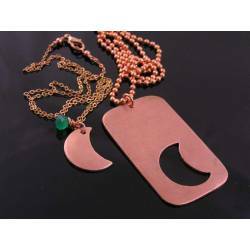 The disc pendant is threaded onto a 2.4mm wide ball chain, measuring 50cm in length and closing with a lobster claw clasp. 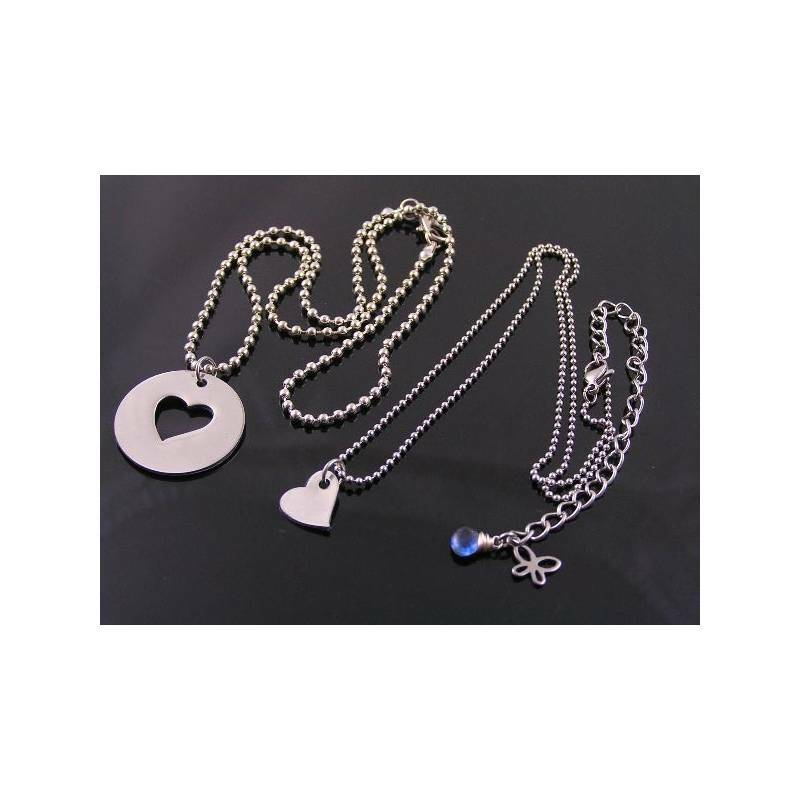 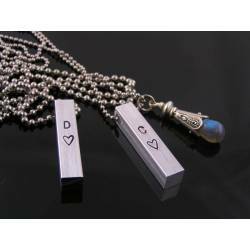 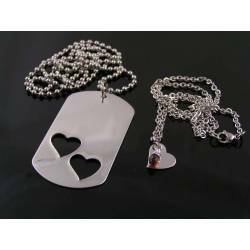 The heart pendant is attached to a 1.5mm wide ball chain, measuring 42cm in length with a 5cm extension chain. 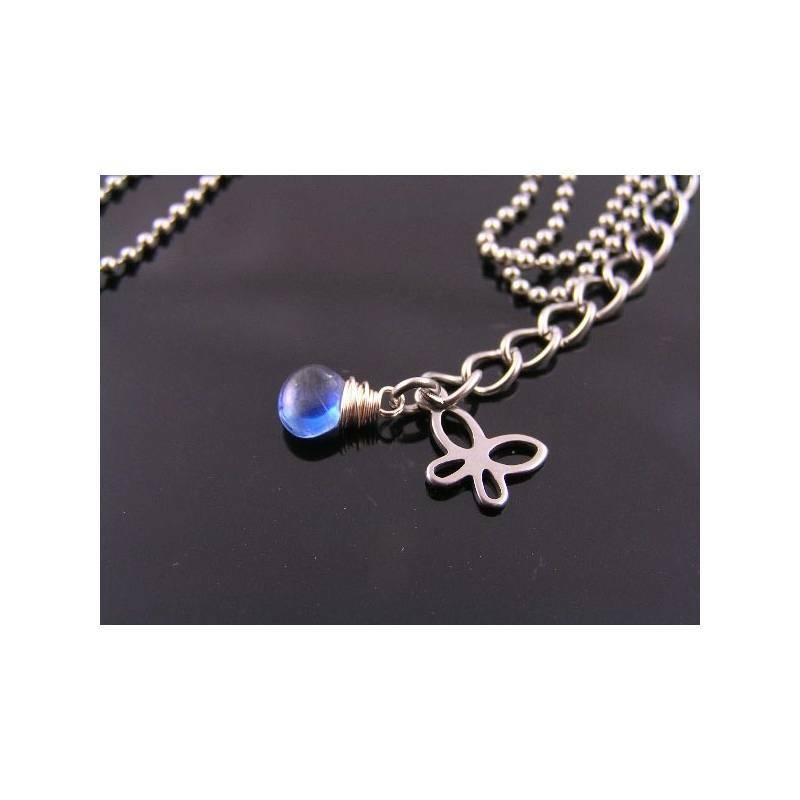 The last link of the extension chain has a little bright blue Kyanite and a small butterfly charm attached. 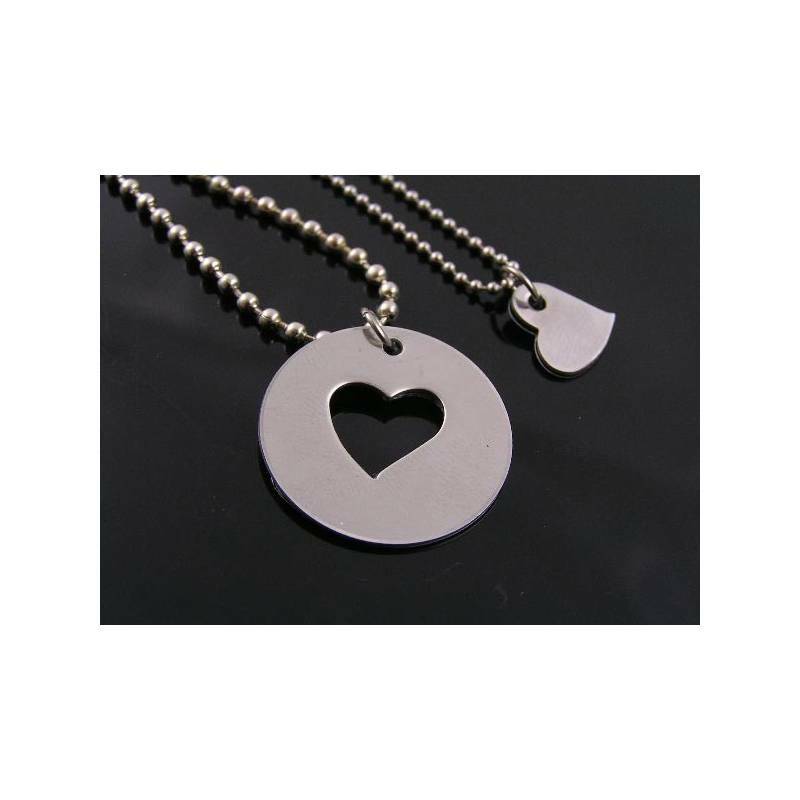 PLEASE NOTE: All parts are solid stainless steel. 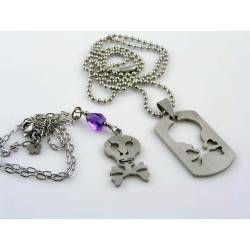 Stainless steel does not tarnish or rust, it's a great metal for everyday wear. 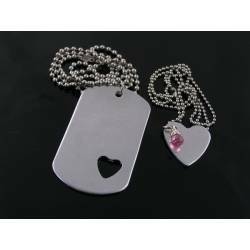 ** PLEASE ALSO NOTE: Custom orders are not returnable, but you will receive a photo of your finished order.